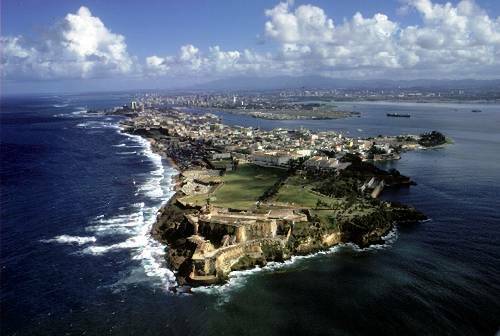 The island of Puerto Rico has a total population of approximately 3.9 million people. Since Puerto Rico is a territory of United States of America, the people inhabiting the island are US Citizens. It is a land of people with diverse culture and background. 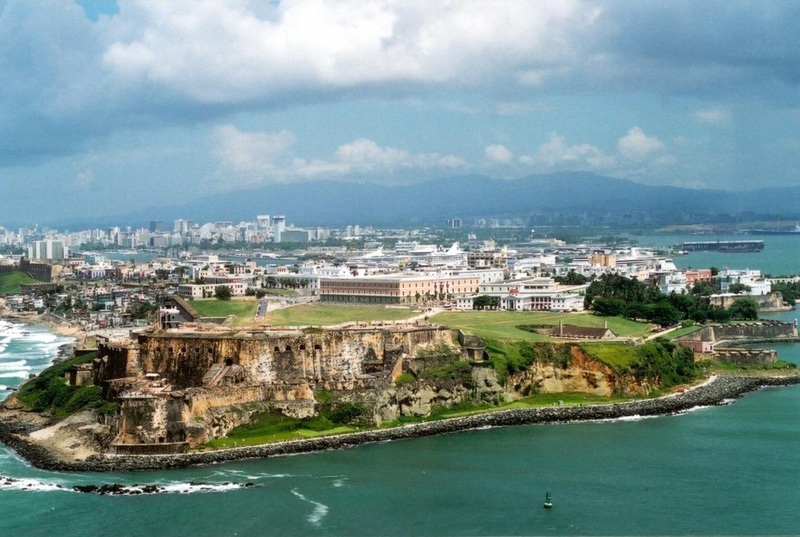 San Juan has a population of over 2 million, and is one of the most densely populated cities in the world. English and Spanish are the official languages, but clearly the primary language is Spanish. The major religion in Puerto Rico is Christianity and the majority of are Roman Catholic, however, the Constitution guarantees the freedom to practice all religions. Puerto Rico, the eastern most tropical island of the Greater Antilles, is located between the Caribbean Sea and North Atlantic Ocean, to the east of Dominican Republic and to the west of U.S Virgin Islands. 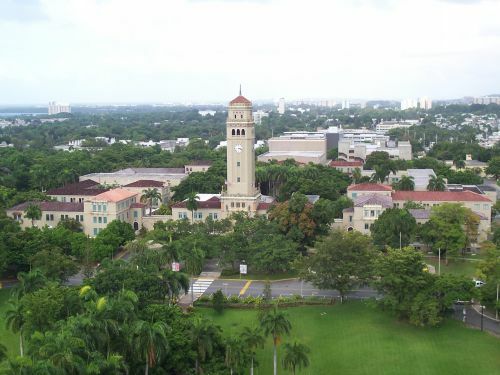 The metropolitan capital city of Puerto Rico is San Juan. This exotic vacation spot can be easily reached via plane or cruise ship. The awesome beauty of this island, with natural breathtaking scenery, makes this one of the most popular vacation destination for travelers. Puerto Rico offers a wide variety of great sightseeing spots, ranging from world-class palm beaches along the coastal area, to deserts, rain forests, and mountains. The island has many natural attractions and activities for people of all age groups, including sightseeing, golf, tennis, horse riding, fishing and much more. Puerto Rico is comprised of the main island of Puerto Rico, and the smaller islands of Vieques, Culebra, Culebrita, Palomino, Mona, Monito, and various other islands spread across an area of 5325 square miles. The geographical area of Puerto Rico is divided into three regions that include the Central Interior Mountain Ranges, Northern Karst and Coastal plains. With a tropical marine climate providing warm weather through out the year, the average temperature ranges from 70 to 90 degrees Fahrenheit in the south, and from 60 to 80 degrees Fahrenheit in the north. The best time to visit is from November to May, during the dry period. Between the 7th and 14th century, Taino (Arawak) Indians inhabited the island of Puerto Rico. Then, in the 16th century, the Spanish took control of Puerto Rico and governed until the latter half of the 18th century. The Spanish-American war started in 1898, and the outcome of the war was that Spain lost Puerto Rico to United States. Puerto Rico saw both political and social changes in the 19th Century. The Foraker Act of 1900 established the relationship between the United States and Puerto Rico, thereby setting up the civil government and free commerce. Under the Jones act of 1917, Puerto Ricans were granted U.S citizenship, and Puerto Rico became a territory of United States. In 1952, Puerto Rico formed their own new constitution with the approval of voters in a referendum, and it was proclaimed as the Estado Libre Asociado (Commonwealth of Puerto Rico). Between 1950 and 1980, Puerto Rico observed various changes in the economy, shifting from agricultural to industrial. Currently it thrives as a famous tourist attraction. Puerto Rico, also known as the "Island of Enchantment", has a lot to offer, from exotic locations with white sandy beaches, to amazing rain forests and mountains. The period from December to April is the peak tourist season in Puerto Rico, when tourists enjoy the historical attractions including various forts, like San Felipe del Morro, San Cristobal Fortresses, La Fortaleza or Santa Catalina Palace. Nature lovers often include a visit to the El Yunque National Rain Forest to see the dense green forest with various flora and fauna and beautiful waterfalls, Las Cabezas de San Juan, and Rio Camuy Cave Park (with the largest cave systems in the world). Other popular attractions include Luquillo beach, Arecibo observatory, Bacardi Rum Distillery, Vieques Island, and many others. 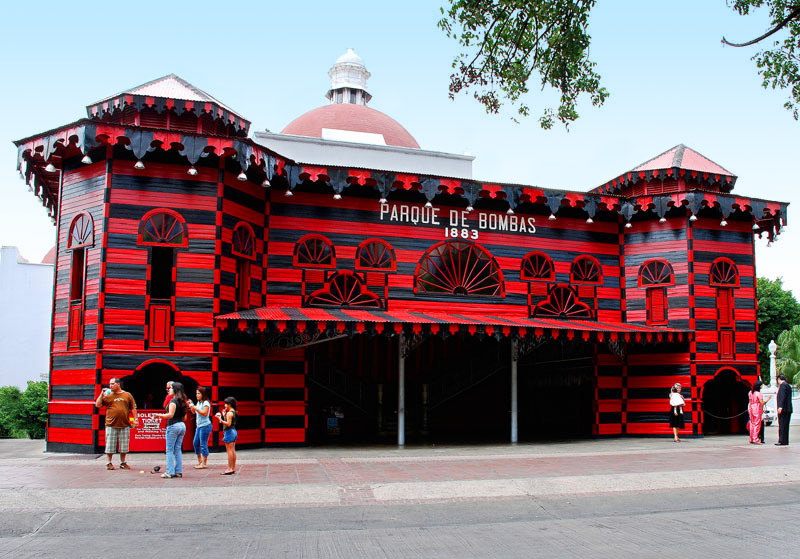 Puerto Rico has a very lively nightlife with various concerts and shows throughout the year. The tourism industry also sponsors various cultural and entertainment programs where visitors and locals can enjoy the music and folk dances. You will find various nightclubs, casinos, restaurants and bars in San Juan, and Puerto Rico has been rated as one of the most enjoyable gaming destination in the Caribbean. The casinos are allowed only in the hotels and are regulated by the government, but visitors can enjoy the night since the clubs are open until 4:30 AM. Puerto Rican culture is a unique blend of Taino, Spanish, African, and North American culture. All have contributed to the rich culture that is now Puerto Rico, including bomba (music) and plena (dance) from the Africans, the names of food and musical instruments (guiros, maracas) from Tainos, the Spanish language and Roman Catholic religion from Spanish and the English language from the Americans. Spanish is the primary language of the island and the main religion is Catholicism. The Taino, Spanish, African and Americans have all had a strong impact on the cuisine of Puerto Rico. Cocina Criolla is one of the main styles of cooking and is based on Taino traditional dishes. The Spanish brought along with them various other influences and ingredients like olive oil, rice, wheat and meat. The Africans introduced the concept of deep-frying, and brought along with them coconut, coffee, okra, sesame seeds, and various other food. Puerto Rican cuisine has specialties including seafood, stew, and chicken with rice, and various spices and ingredients like adobo and sofrito are very common. The desserts are often made from coconut, while drinks include strong aromatic Puerto Rican coffee or Rum (national drink). The taste of the cuisine is very unique, but restaurants and cafes also offer international dishes.